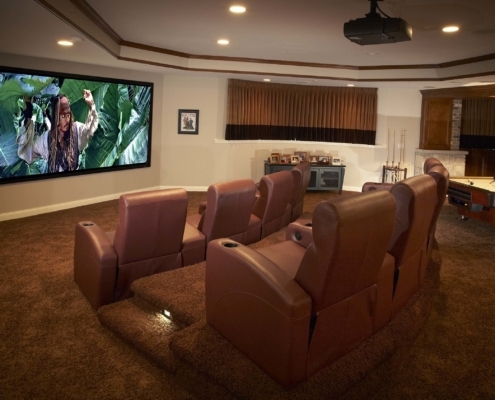 An authentic theater experience is the centerpiece of this entertainment suite in a Long Grove home. 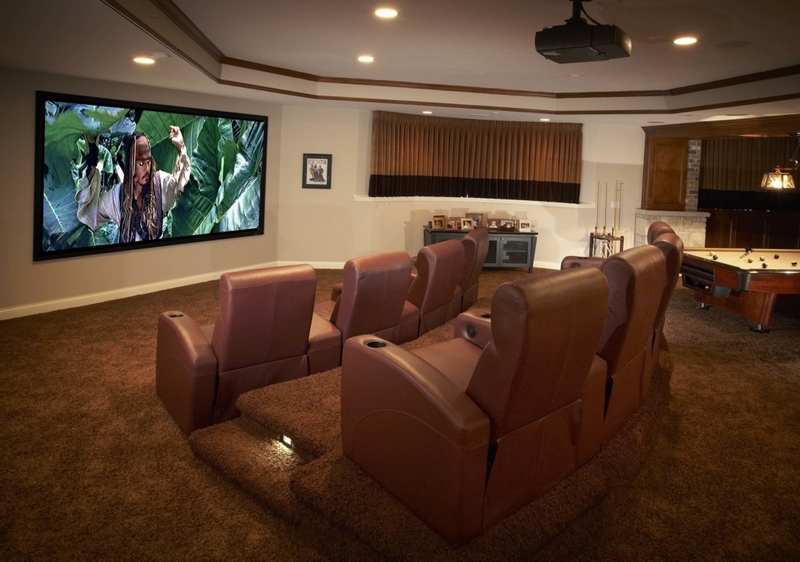 You don’t have to choose between having a home theater and a game room when one size fits all. 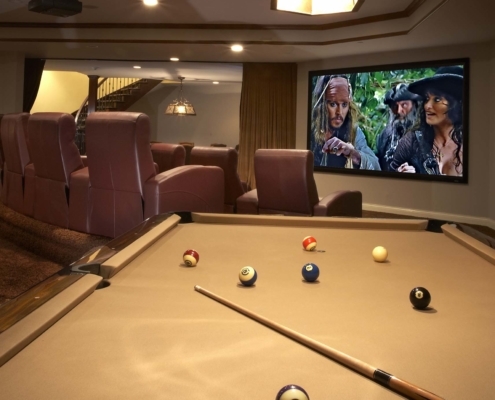 Sound-absorbing curtains can separate the spaces so that you can watch your favorite videos or television shows while other family members or guests are playing cards or board games. 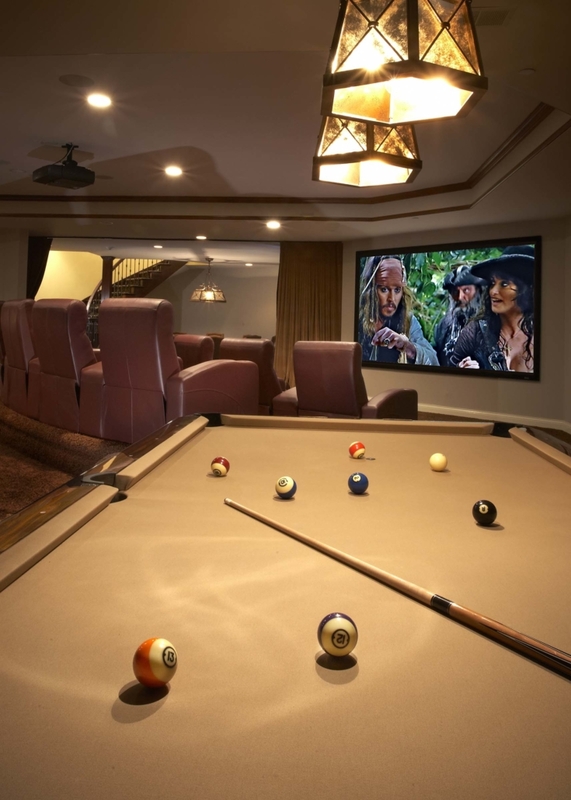 Zoned lighting dims or brightens the suite’s pool table. You can take a shot while catching a shot in a ball game, or maybe just casually taking in the day’s news on TV or the latest video release. You have the choices, all good. 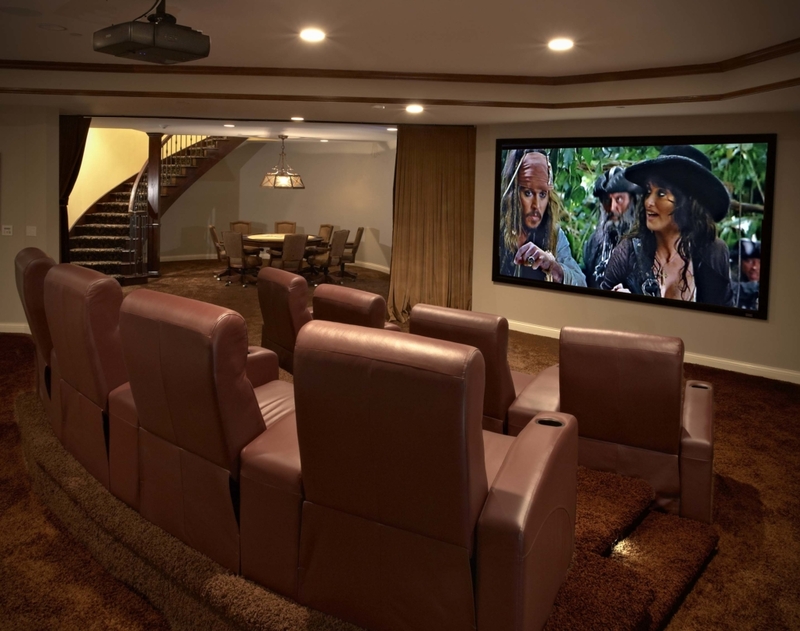 No need to fight crowds or overpay for popcorn. 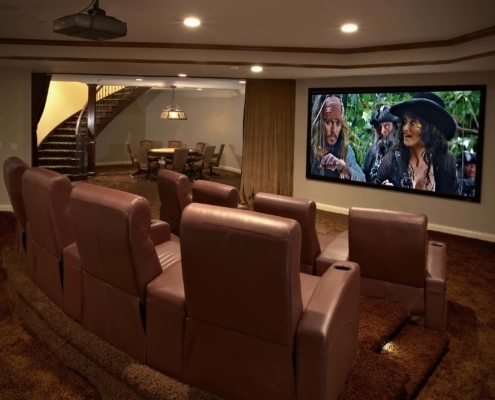 A Digital Home Technologies’ design and installation helps breathe new life into that old game room.